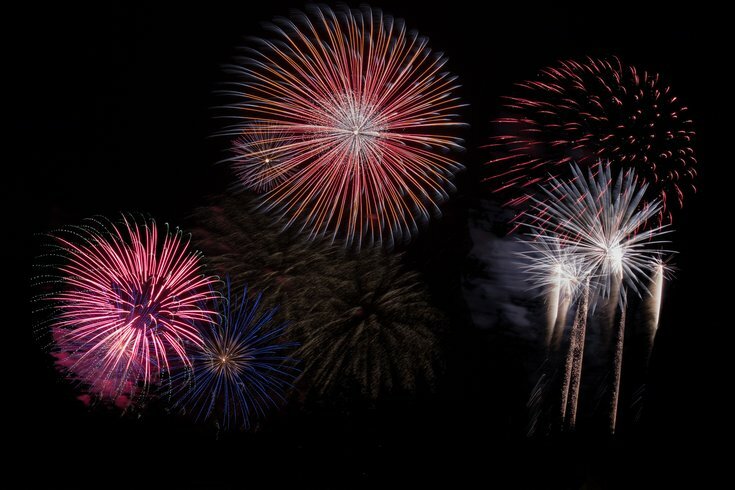 A New Jersey fireworks vendor is apologizing to two New Jersey towns on Thursday, after the company failed to deliver the pyrotechnics for both towns' fireworks displays on the Fourth of July. After the fireworks never showed up, Beachwood and Milltown had to cancel their displays on Wednesday afternoon, even after planned festivities and resources for first-responder volunteers had arrived. The company, called Fireworks Extravaganza, of Rochelle Park, charged $17,000 for the display, with a $8,500 deposit upfront and the remainder to be paid at the time of delivery. Luckily, the show was paid for by donations and not tax dollars, which will be refunded and used for next year's display, NJ.com reported. President John Sagaria issued a heartfelt letter to the towns on Thursday, apologizing for what was "a perfect storm of events" that led to the mixup.In the letter, Sagaria writes the problem was with the driver, who was to deliver the fireworks from Maryland to the launch sites in Jersey. "Many regulations are in place for transportation of explosives and this is what failed," he wrote. New Jersey's laws about transporting fireworks include — but are not limited to — restrictions on age, a familiarity with the state's driving laws, the kind of trailer and quantity of explosives. "Our fire official and our licensed contracted shooter, the person licensed to fire the fireworks, were trying to contact the company," Beachwood Mayor Ronald Roma told NJ.com. "Finally, after multiple attempts, the company called back, and that was the story they gave us." "You would think a company that comes recommended, especially since they are not a small company, they would have multiple contingencies in place for this type of event, and it's the Fourth of July," he added. "It's the biggest fireworks-celebrating day in the country. ... It's really unacceptable that you do not have a licensed Hazmat driver and you don't have a contingency driver in place." Sagaria's letter touched on his deep disappointment in himself and the company for not delivering (literally). "For that is what I love to do, and I love to light up the sky and tell a story," he wrote. "It is the reason why hundreds of towns put the trust in us. But last night the skies over Milltown and Beachwood were dark. I always talk about Fireworks displays making your heart smile. But last night your townships there was not [sic] of that, and my heart was broken." Sagaria ended his apology with a promise to compensate the towns any way he could. "We will work hard in the coming days to offer a solution no matter what that is," he wrote.